On 11/2/1942 Lt-Colonel M.J. Anketell, Commanding Officer of 2/4th MG Battalion was ordered to equip all the machine gunners of his battalion that he could possibly muster. He was to send them forward to fight as infantry on the 22nd Australian and 44th Indian Brigade’s fronts. 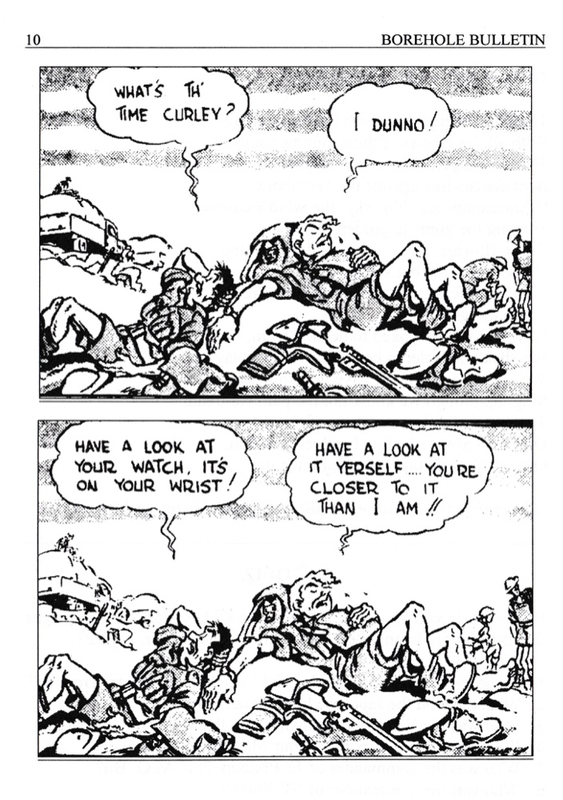 During the day the Australians and Indians had little respite from Japanese gun and mortar fire as well as enemy air attacks. The first solid group to arrive at the 22nd Brigade’s front was a mixed company of about 90 2/4th machine gunners. Progress had been slow due to enemy air activity, but they managed to occupy Hill 200, Pandan IV at 1700 hours. At about the same time the Signals No. 1 and AA No. 2 Platoons under the command of Capt. McEwin also took up positions approximately 300 yards south of feature Hill 200 atop a small hill. By 0930 hours on the morning of 12th February the 2/4th made up about half of the total Australian strength of 800 men. During the nights of 11th-12th February the Australian artillery did a good job of keeping the enemy quiet. However the next day was a different story. The Japanese 18th Division succeeded in pushing between the Australian and Indian positions near Ulu Pandan-Holland Road junction. In an attempt to get behind the 22nd Brigade’s position the Japanese began an infiltration movement around the northern flank of the machine gunners on Ulu Pandan IV. In their attempt to outflank the Australians, the enemy had moved into a long gully between the Gordon Highlander’s position and those of the 2/4th on Ulu Pandan IV. Two detachments of machine gunners were sent to an area in the vicinity of a railway bridge on Holland Road. They moved in the gully and halted any further penetration by the enemy. All efforts by the Japanese to occupy this high feature had been thwarted and had to remain content to pour in machine gun, mortar and spasmodic artillery fire to little effect. Just before midday on 12th February, the enemy attempted to bring forward reinforcements from the north by truck. This convoy ran into trouble in the shape of an armoured car detachment led by Cpl. Oliver Stanwell. Cpl. Stanwell’s crew destroyed the reconnaissance car and 13 trucks by the time they had finished their work; successfully blocking the road to the enemy for some time. Cpl. Oliver Stanwell would not return from ‘E’ Force in Borneo. By 1500 hours on 12th February the Japanese had broken through the Indians and captured Hill 150. This necessitated an adjustment to the 2/18th Battalion’s position to counter the enemy’s flanking manouvre. 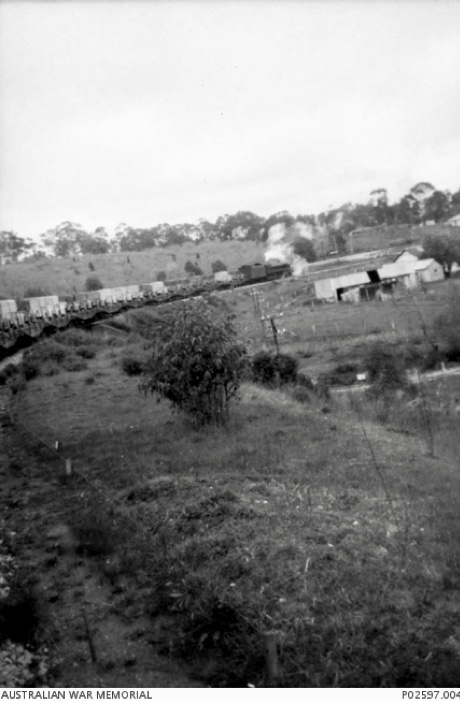 At about 1700 hours a patrol sighted some stationery Japanese transport vehicles – indicating the enemy had brought up fresh troops with the intention of moving in behind the left flank of the 2/18th Battalion’s position. By 1800 hours heavy fire was being taken to the left rear of the 2/18th Battalion however, the fire was heavier on the 2/4th MG Battalion’s position on Ulu Pandan IV. By this time the Japanese had captured Hill 130 providing them excellent cover and the reason this feature would have been too costly in lives to regain. At dusk it was decided to reform the line by slightly withdrawing the left flank of the 2/4th MG Battalion and filling the gap between 2/4th and 2/18th with another composite unit. Between 1700 and 2000 hours a great deal of action developed forward of the 2/4th positions and the situation becoming serious. The hills opposite the 2/4th on Hill 200, Ulu Pandan IV were literally infested with enemy who were too far away to harm with small arms and machine gun fire. A CDF (Call for Defensive Fire) from artillery was made but because of poor signal communications these guns could not be ranged in accurately on the enemy – an ideal opportunity to inflict heavy loss upon the Japanese was lost. The Australians were now experiencing their first taste of the 150mm (5.9 inch) mortar nicknamed the ‘flying pig’. The pig was in fact the Model 93 (1933) smooth bo0re muzzle loaded mortar that had a range of 2,100 metres. The projectile for this weapon weighed 56lbs and contained 14lbs of explosives. The ‘flying pig’ is really renowned for the noise it made when its missile was airborne and for huge hole it made in the earth when it landed. It couldn’t be said this weapon ever inflicted any harm upon 2/4th men, but it certainly must have terrified many. It was about 2130 hours that Lt-Col Anketell was badly wounded. Capt. Colin Cameron had accompanied the Colonel around his ‘C’ Company area. Because ‘C’ Company had lost hills L, K and H Lt-Col Anektell, Capt. Cameron and Major Robertson who was commanding a company from 2/20th Battalion, were on reconnaissance to define a new perimeter. Capt. Cameron reported to Major Cough, ‘D’ Company that the Colonel had been badly wounded by mortar or artillery shell burst. The R.M.O. Capt. Anderson dressed the Colonel’s wounds and sent him back to Alexandra Hospital. Meanwhile the battle to hold Ulu Pandan had only just begun. The following is taken from Col. Thyer’s report provides a good descriptio0n of events as they affected the 2/4th. ‘Neither the noise tactics nor the intensity of hostile fire perturbed the machine-gunners who waited patiently until the enemy came to within 150 yards and then opened up a steady and concentrated fire on the crowded enemy. Those who got through this barrage of rifle and machine –gun bullets were dealt with by hand grenades. One Japanese attack after another was thrown back with heavy losses. Shortly afterwards Brigade orders to withdraw were issued, but it was not until 2200 hours that the Bn. Received its instructions. By this time the enemy had gained the lower slopes of Pandan IV and Hill 130 from which was pouring small arms fire into the rear of ‘C’ Company and on a smaller knoll 300 yards to the south. The battalion closed into a tighter perimeter stubbornly resisting the enemy’s attacks. In the heavy fighting this unit suffered heavily in killed and wounded, including in the latter was Lt-Col Anketell, the CO, who later died of wounds. By this time the MG Bn was completely surrounded and because it its inability to organize a detachment to cover the withdrawal it was obvious that the battalion was not yet out of danger. To relieve the pressure a counter-attack with the bayonet was put in and the Japanese put to fight. In every encounter with the A.I.F. they would not face the bayonet’. Capt. McEwin had reformed his Signals and AA Platoons on the track near the road and led them up to a point opposite Hill 200 were he attacked with both platoons. The Japanese were holding the northeast slope of the hill and the attack pushed back to the crest. Some 2/4th were killed and there were many wounded in this attack. The wounded sent back. Capt. McEwin pushed on again to take the crest of the hill with what is believed to have been about 20 men. On reaching the crest they attempted to consolidate their old pits, but the enemy came back strongly and only about 4 or 5 machine gunners came out.